Cash Flow Depot, a real estate investor training website, is pleased to announce that its online seminars are currently on sale. These online real estate classes give students all the benefits of a live event at the comforts of their homes. 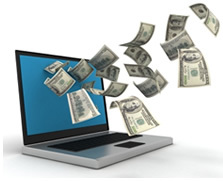 Feb. 26, 2013 - PRLog -- People who are looking for online seminars (http://www.cashflowdepot.com/online-seminars.aspx) about real estate investing are in for a treat as Cash Flow Depot presently offers its webinars at reduced prices. These online workshops can be found at the “Online Seminars” section of the site where most of the courses are reduced at 50% off the retail price mark. The webinars (http://www.cashflowdepot.com/online-seminars.aspx) on sale include “Art of the Deal”, “Distressed Market Strategies”, “Generating Cash Flow”, “Ultimate Mobile Home Online Boot Camp”, “Movers and Shakers”, “Mini Negotiations”, “Mini Options”, and “Private Money Magnet”. Most of these seminars retail at $199 but are now offered at $99.50 or less. Cash Flow Depot is also giving away some online workshops for free upon membership to the site. These free online courses (http://www.cashflowdepot.com/online-seminars/real-estate-...) include “Foundations of Wealth”, “Real Estate Profit Secrets”, and “Twelve Step Road to Riches”. A collection of audio lessons, videos and articles comprise these free webinars that provide a step by step guide to money-making in real estate. “This online learning (http://www.cashflowdepot.com/online-seminars.aspx) sale coupled with the free workshops (http://www.cashflowdepot.com/online-seminars.aspx) are a great way for investors to find out what Cash Flow Depot is all about”, says Jackie Lange, general manager of the site. “Cash Flow Depot teaches its students how to make money even without any. Students will learn how to craft creative deals and enter risk-free transactions in real estate”, says Jackie. Jackie also states that Cash Flow Depot was the first to offer online real estate investor seminars (http://www.cashflowdepot.com/online-seminars.aspx). “Cash Flow Depot is dedicated in providing all the information a student needs that will help him make money from home with his own real estate investment business. The students of Cash Flow Depot get comprehensive education without travel expenses. There’s 24/7 access to learning online (http://www.cashflowdepot.com/online-seminars.aspx) so students can study and learn at their own pace”, Jackie adds further. The online seminars (http://www.cashflowdepot.com/online-seminars.aspx) of Cash Flow Depot cover a variety of topics in real estate investing. “Art of the Deal” teaches how to get more deals at better prices and with creative terms. “Generating Cash Flow”, on the other hand, teaches the ability to generate and collect consistent cash flow that can effectively battle any financial storm. Each online seminar focuses on a specific topic and teaches the real estate investing (http://www.cashflowdepot.com/) strategies devised by the educators of Cash Flow Depot. These real estate gurus are real property investors who have gained considerable success in the field. According to Jackie, the online seminars on sale are available for a limited time. Real estate investors who want to know more about Cash Flow Depot’s online learning courses may simply visit http://www.cashflowdepot.com/online-seminars.aspx. Interested parties may also call Jackie Lange at 1-888-282-1881 for more information.